Sofia the First will cease offering regular meet and greets in the Disney Jr Animation area of Hollywood Studios at the end of her set on April 13, 2019. The meet and greet area will be transformed into an area for fans to meet Fancy Nancy. Fancy Nancy is suppose to begin offering meets as early as May 1, 2019. Sofia will also be leaving Hollywood and Vine breakfast to be replaced by Fancy Nancy. Sofia will travel back the Kingdom of Enchancia. 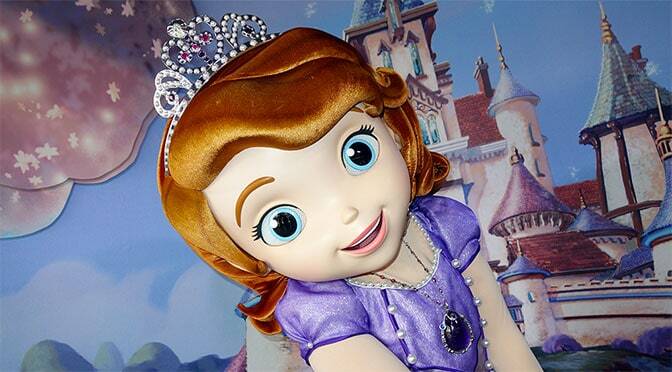 Be sure to visit Sofia the First right away! My daughter is going to be so sad! Our trip is in October. Any chance we might see Sophia at Fairytale Hall? Get rid of the only Disney Jr. Character who is Black. Hope Disney is smarter than that. My daughter will be so disappointed! We aren’t going until September.